We've completed half the walk and finally we've reached Le Corbusier's famous cabanon. You descend these steps and see the tiny building ahead. 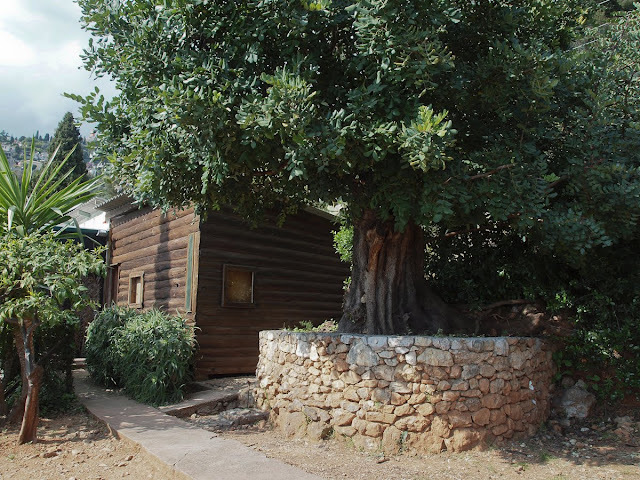 Swiss architect, Le Corbusier (real name Charles-Édouard Jeanneret), built the cabanon in the 1952 as an exercise in minimal habitation but also as a birthday present for his wife. Thereafter they spent their holidays at Cap Martin until Le Corbusier drowned off the rocks in 1965. 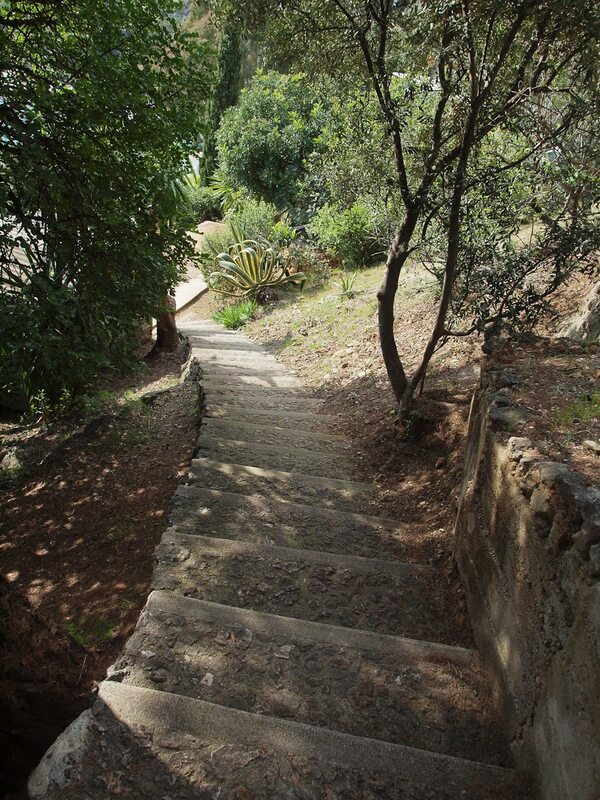 He is buried in the old village of Roquebrune. Nous sommes à mi-chemin de la promenade et nous arrivons enfin au célèbre cabanon du Corbusier. Vous descendez ces marches et vous voyez le minuscule édifice . Architecte suisse, Le Corbusier (de son vrai nom Charles-Édouard Jeanneret), a construit le cabanon en 1952 comme un modèle d'habitation minimale, mais aussi comme un cadeau d'anniversaire pour sa femme. Par la suite, ils ont passé leurs vacances au Cap Martin jusqu'à la mort du Corbusier.Il s'est noyé au large des rochers du Cap Martin en 1965. Il est enterré au cimetière du vieux village de Roquebrune. Eileen Gray's former Villa, E.1037 is right there too. I understand its almost finished being restored (just the interiors now) and that it should be open for viewings very soon too. At least I hope so, they have done some remarkable work from what I noticed last September. A lot of history in that area, thank you for providing photos of such a beautiful walk. Jameson, thanks so much for kind comments. I called into the Roquebrune tourist office a few days ago to see when Eileen Gray's villa will be open to the public. It is almost finished but the lady told me it won't be open this year, probably in 2012 but not definite. That will be fascinating to visit, won't it? Last time I took photos of the interior of the cabanon, we also visited the bar next door and the holiday accommodation alongside so hopefully I will get photos of all that later this year as well as completing the walk to Monaco, which must include sky divers! Have a lovely week end, it has a a wonderful tour you are taking us on. Very beautiful corners of the country! Have a great weekend. I have loved this walk! 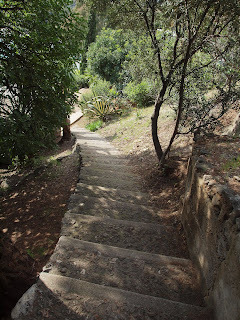 Maybe you will show us Eileen Gray's villa next year! It looked at first glance like an American log cabin. I'd love to see it in more detail through your lens.